Proprietors were akin to a modern corporation in that they owned a % of the land and acted as a board of directors for the town. The money they put in would have gone initially toward purchase of Lot #8. Further payments would have gone to legal costs, surveying and any remaining costs for Indian claims. 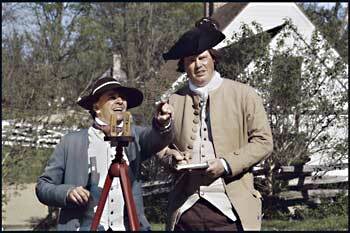 Costs for meeting house and roads generally were shared among proprietors and settlers. Proprietors might or might not be settlers (see “New England Town Development”). Proprietors may have wanted to get cheap land and have been willing to commit to the hard work of clearing or may have been pure investors hoping to gain by the appreciation in land value to be expected as the land was cleared and roads were built. The first distribution of property was by lots with later distributions being settled based on the % each proprietor had put in. In the case of Lenox, several rounds of distribution seem to have taken place as soon as the surveying was completed. 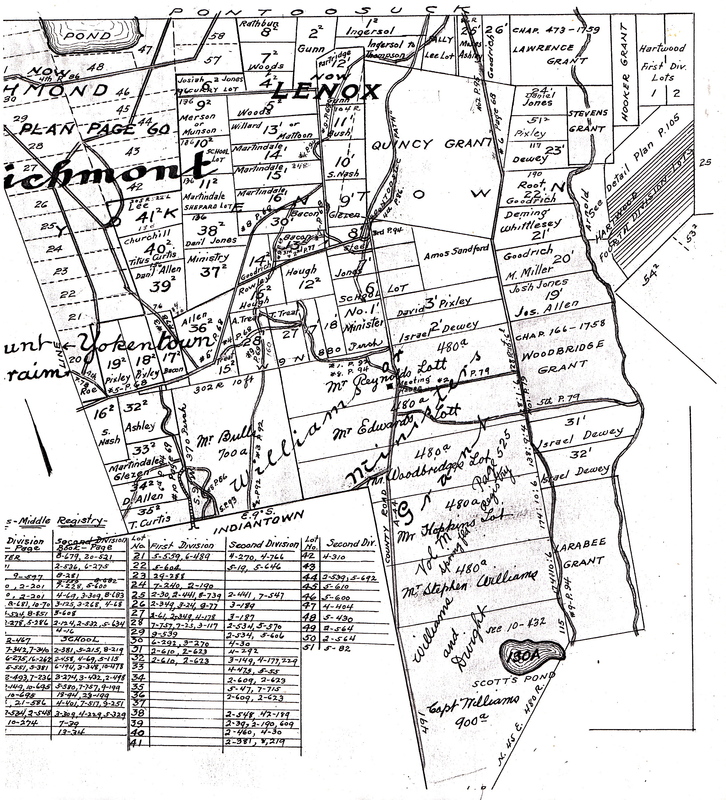 Lenox proprietors held an average of about two hundred acres. Our information on these important early investors is frustratingly sketchy. The George Tucker manuscript lists (from documents now at the Berkshire County Middle Registry of Deeds) the proprietors below. If other sources* listed other information about the proprietor it is added here to give some flavor of the people involved. It is clear from the limited facts available that the investors who were not planning to settle, quickly monetized their holdings. 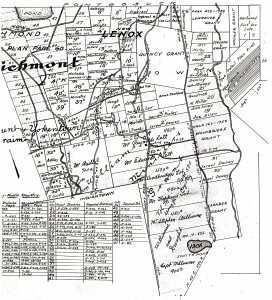 In a non-money economy such as Colonial Berkshire County, and land changed hands numerous times from town founding to 1775 and seems to have provided cash for other uses, settlement of debt, etc. Elisha Martindale – Elected to Committee to Build Meeting House and Committee to procure preacher; the Martindales were also holders of a large number of initial lots but there are no Martingales listed among the Church on the Hill burials. Stephen Nash-dismissed from committee to build meeting house for failing to do anything; one of the Stephen Nash’s had participated in purchasing 1/2 of lot #6 (which was to be used for the school) from Sam Brown Jr. in 1764. It looks like Sam Brown may have purchased the same property from Josiah Jones in 1763. Of course the price was higher each time the property changed hands! Earlier settlers (such as Jonathan Hinsdale) may have already been resident on the land (whether proprietor or grant land) and may have rented or made arrangements to purchase after the initial lot selection.